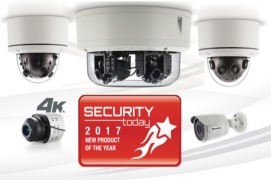 The Contera video surveillance solution is composed of megapixel cameras (Arecont Vision Mega™ and Contera IP®families), video management system software (ConteraVMS®), video recorders and NVRs (ConteraCMR®), and cloud-based web management services (ConteraWS®) tying it all together. The ConteraVMS is an advanced video management system available in Standard, Premium, or Professional choices, supporting a maximum of 16, 64, or 128 cameras respectively. 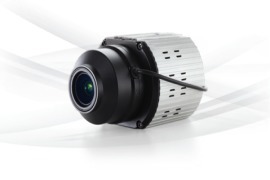 The VMS supports single and multi-sensor Arecont Vision Mega™ and Contera cameras, as well as ONVIF compliant 3rd party products that have been integration-tested and validated in the MegaLab™. ConteraCMR is a full line of cloud managed recorders, with four customizable platform choices. The base NVR Appliance supports a maximum of 8 or 16 POE ports and up to 20TB of onboard video-optimized storage. Moving up, the Compact Desktop NVR server offers up to 32 channels and up to 24TB with optional RAID 5. Next is the Compact NVR Server, in a 2U rackmount form factor that can be configured for up to 24TB with optional RAID 5 for a maximum of 64 channels. The top of the ConteraCMR line is the High Performance NVR Server, with up to 80TB and RAID 5 options and support for a maximum of 128 channels. 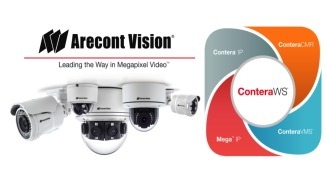 The online Arecont Vision SysCon System Configurator™ simplifies selecting the best ConteraCMR platform for specific project requirements. 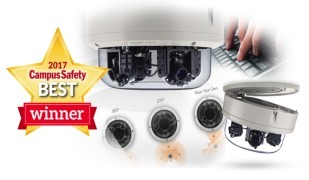 All ConteraCMR platforms include a three-year manufacturer’s warranty. 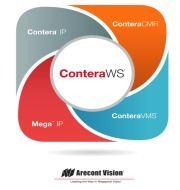 Tying the ConteraVMS and Contera CMR platforms together over the cloud is ConteraWS® (web services). 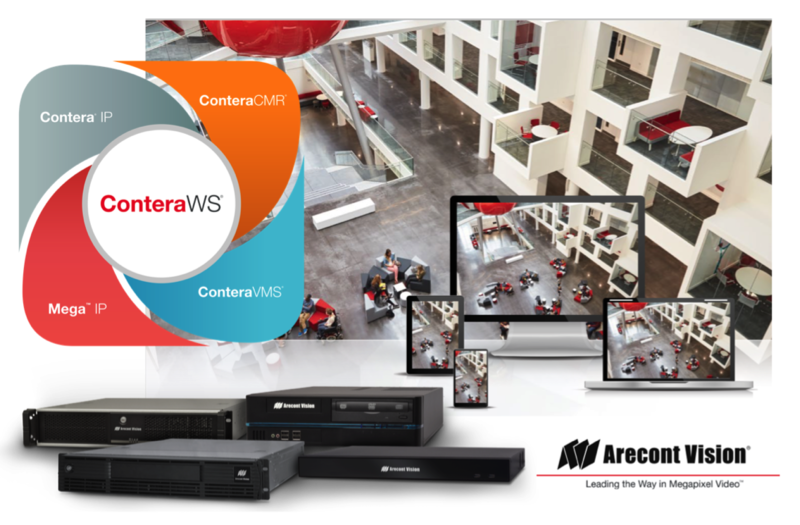 ConteraWS enables recording to occur locally on a ConteraCMR platform (or 3rd party compliant server running ConteraVMS software). Local recording eliminates the pitfalls of resolution and framerate restrictions that can limit other solutions. User profiles and cloud information is all stored in the cloud for convenient, remote access and management. Local administration is not required, reducing complexity and staffing needs. 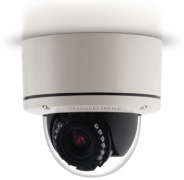 The ConteraCMR recorders can be accessed remotely over the local area network just as in a traditional video surveillance solution. The system can be securely reached from anywhere via choice of a full-featured thick client, mobile apps, Apple TV app, and a multi-browser web client. Video also can be stored in the cloud for important clips, then shared as needed. Management is simplified with access to all ConteraCMR platforms via a single sign-on capability. Instant notification of alarm, motion, or system health events are sent to any authorized recipient via smartphone or computer. Software updates can be applied remotely, reducing time and cost to deploy. There is no need for port forwarding or use of a Dynamic Domain Name Service (DDNS). ConteraWS also brings advanced cybersecurity, offering multi-factor authentication, NIST-compliant data encryption, transport layer security, and requiring no open inbound ports. 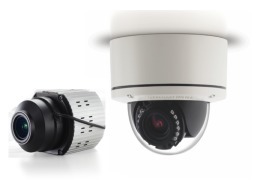 The complete Contera video surveillance solution offers the performance and reliability of local recording with the convenience and flexibility of a cloud application.